AmericaJR’s Jason Rzucidlo reports from 2018 AutoMobility LA, the official media preview of the Los Angeles Auto Show. 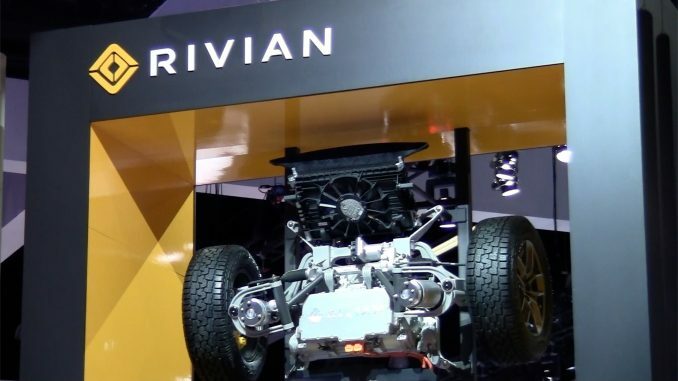 In this video, watch for an exclusive interview with Rivian’s Michael McHale about their R1T all-electric pickup truck. The highly anticipated truck features a range of up to 400+ miles, a wading depth of 1 meter, and the performance and precise control of quad-motor AWD and has been developed to help customers get out and explore the world. The R1T will be produced at Rivian’s manufacturing plant in Normal Il, from late 2020. The battery is designed for fast charging with charging rates of up to 160kW. This enables approximately 200 miles of range to be added in 30 minutes of charging. In addition to DC fast-charging, an 11kW onboard charger facilitates rapid charging at a Level 2 charger.